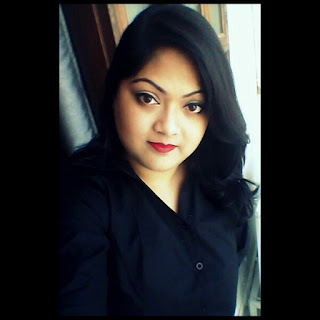 All of you know my affinity towards budget makeup products and those which give great results at an affordable rate. I have reviewed a couple of affordable eyebrow grooming products already in the blog (Read HERE and HERE), and today is the turn of another such eyebrow product from one of my favorite budget brands- Sivanna Colors. 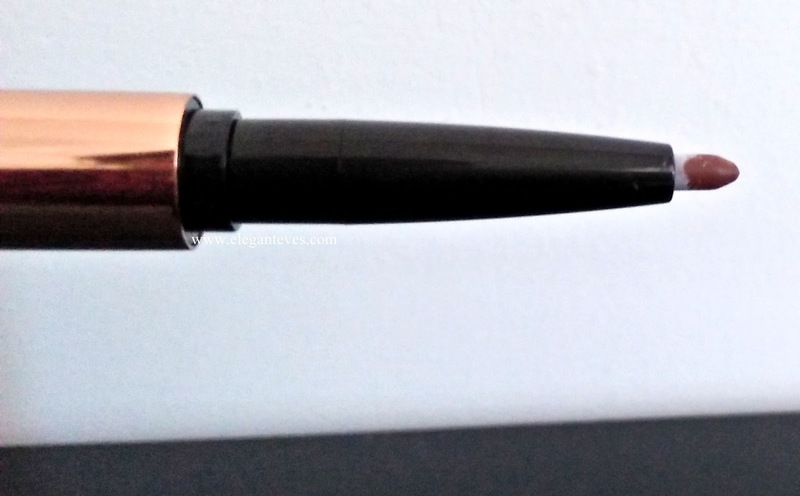 This product claims to contain a pencil, a brow powder and a brow gel/mascara all in one pen! I wanted to see if it is really worth the hype. Below is a detailed review of the same. Read on! Product: Sivanna Colors 3D Waterproof Brow’s Secret. 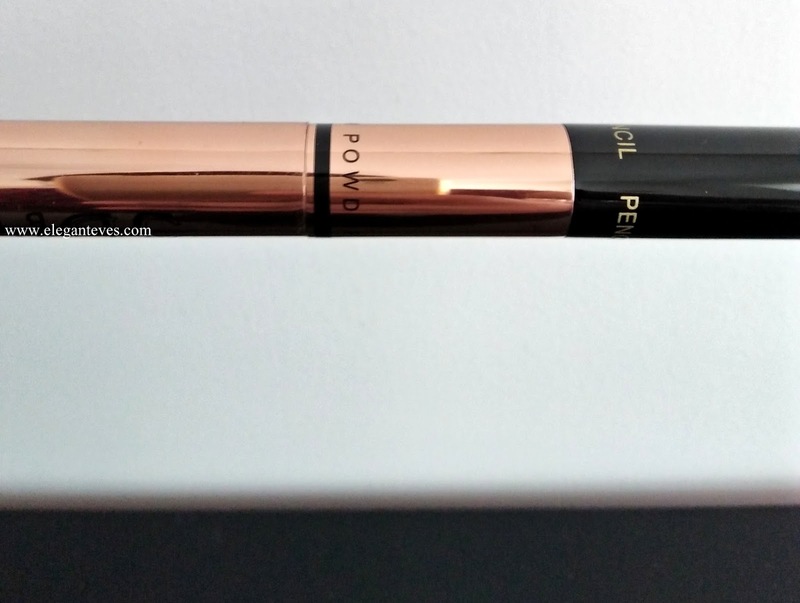 Packaging: The pen comes in a stunning metallic rose-gold packaging. There is the retractable brow-pencil on one end, the brow-mascara on the other end and the brow powder is at the center (leaning on the side of the pencil). 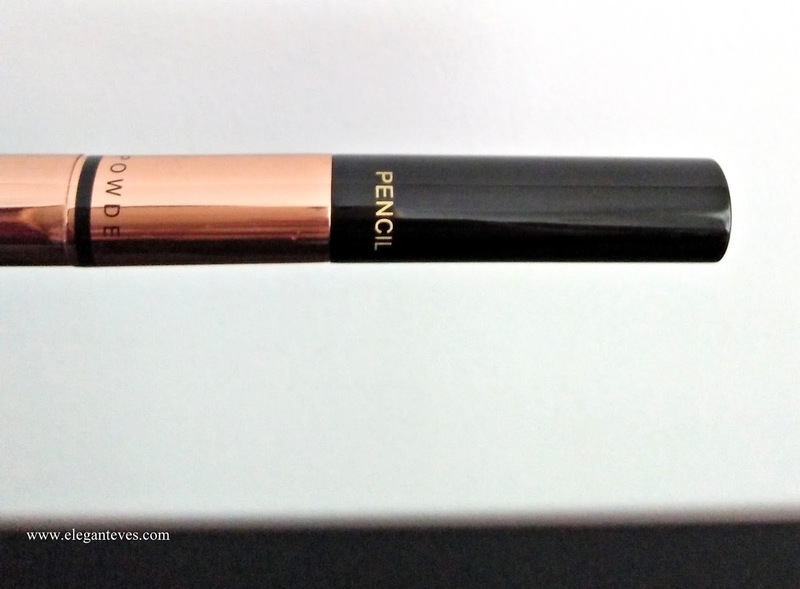 The pencil has a click-lock cap, while the powder and the mascara both have screw-caps. 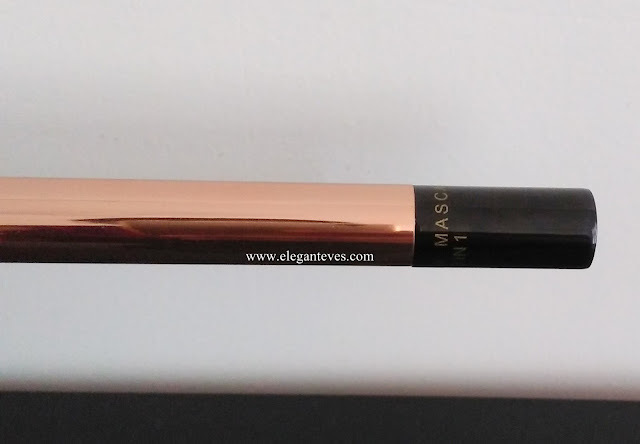 My take: Texture-wise, all the three parts of this 3D brow product are satisfactory: the pencil doesn’t drag and is very smooth, the powder is pigmented and so is the mascara. The mascara wand is thin enough for brows. First major issue which I faced was with the shade. 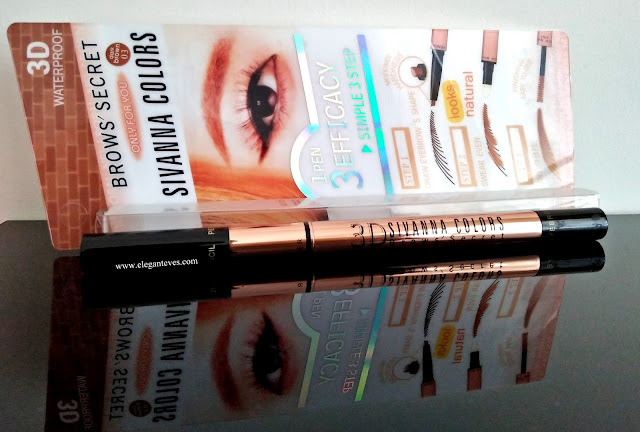 Since I had to buy the only available shade with the seller (Dark brown), I did not have much option, but this shade would best suit people who have absolutely brown brows. 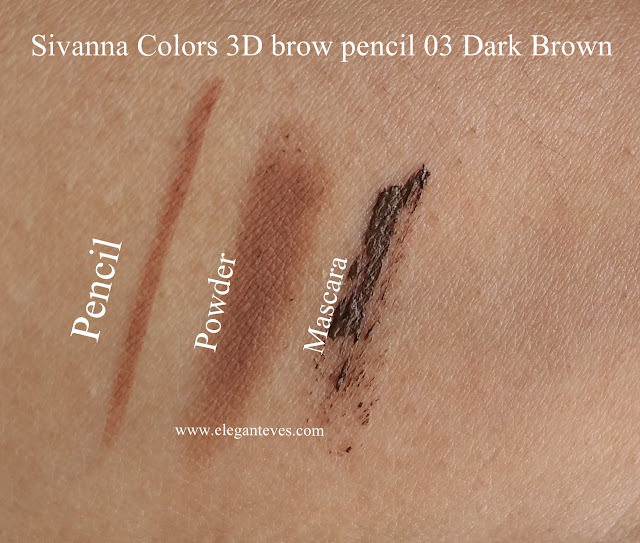 As you can see in the swatches below, the pencil and the powder are a tad too warm for my natural brow color. The mascara however looked more forgiving than the other too. 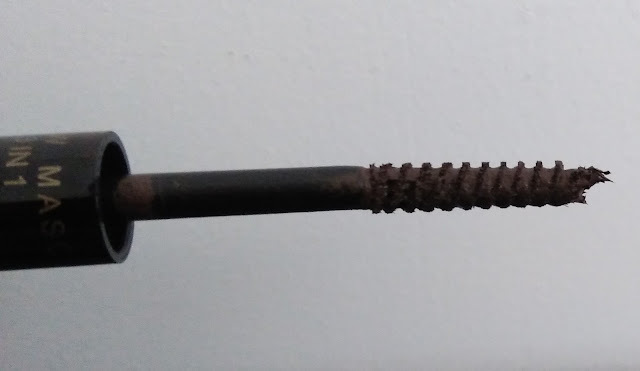 Although Maybelline Fashionbrow in shade Brown also looked very warm when swatched but looked absolutely normal on my brows, sadly this wasn’t the case here. 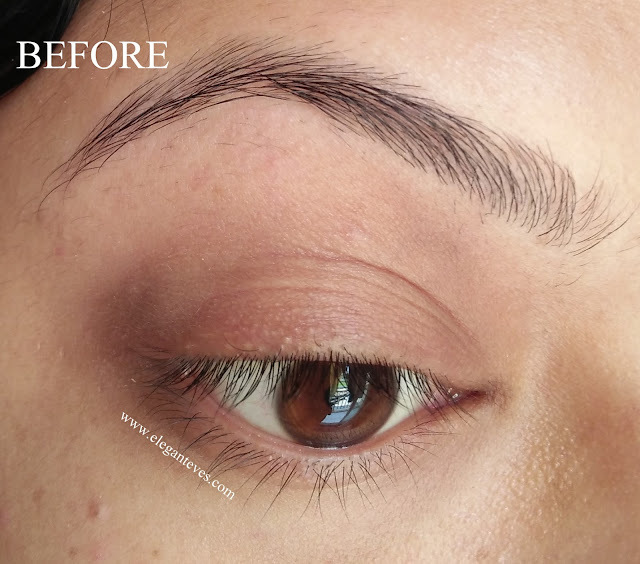 Second issue which I faced was, on piling three products together on my sparse brows, the effect is slightly crumbly and “too much”. 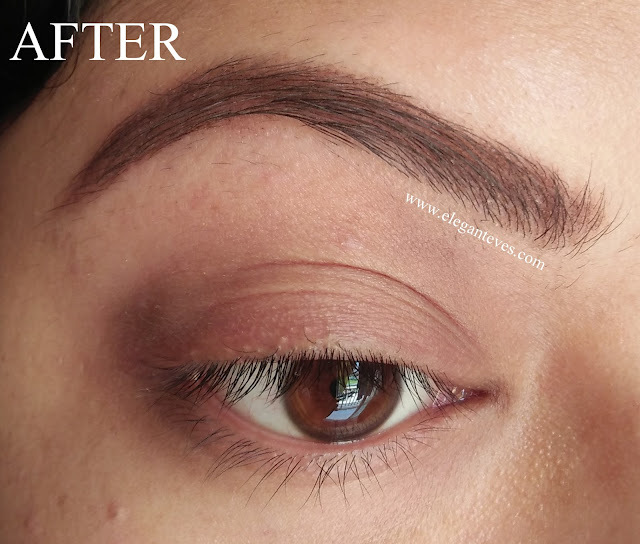 It looks about fine in pictures, but when face to face with someone, a person may actually embarrass you by telling “there is something on your brows”. 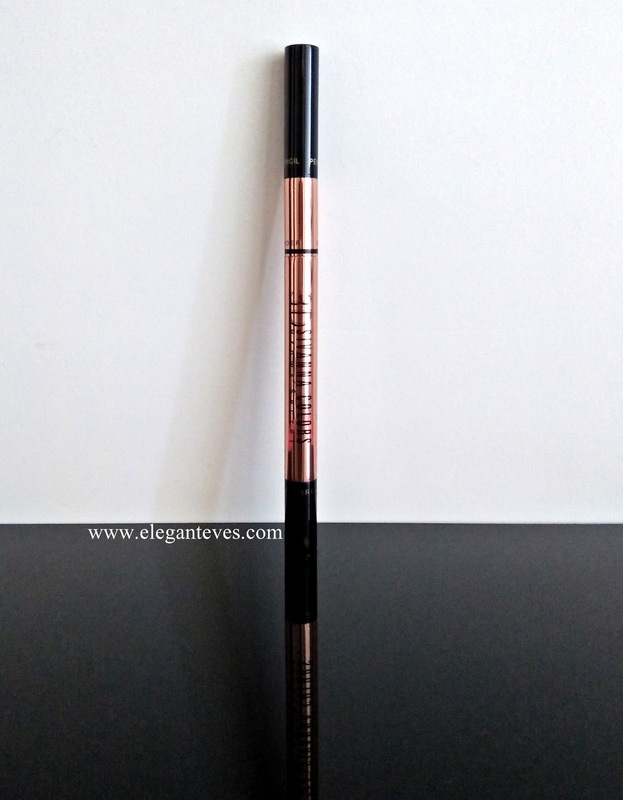 To counter these problems, I have decided to use this pencil a lipliner instead (since it is very pigmented and smooth) :P. Also, I have noticed that when only the powder and the brow gel are used, the effect is far more natural. 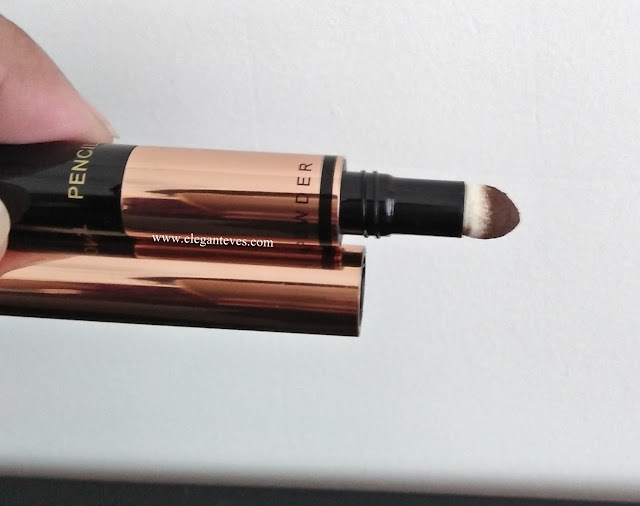 As far as the staying power goes, this product takes a while to “dry and set” but once done, it stays put without smudging. It is sweat and water-resistant. However, a good rub with wet hands brings off a little of the product. So, it is not waterproof. Wow, the result looks incredible !! 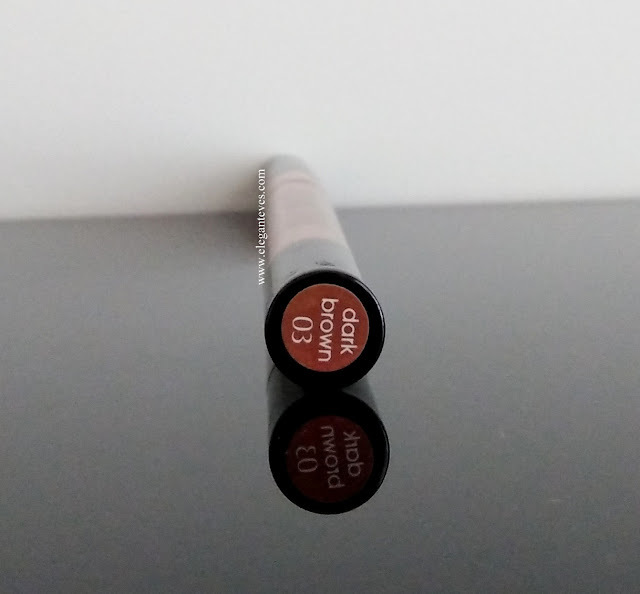 Thanks, but as I mentioned, not my perfect shade though :( Thanks for dropping by!